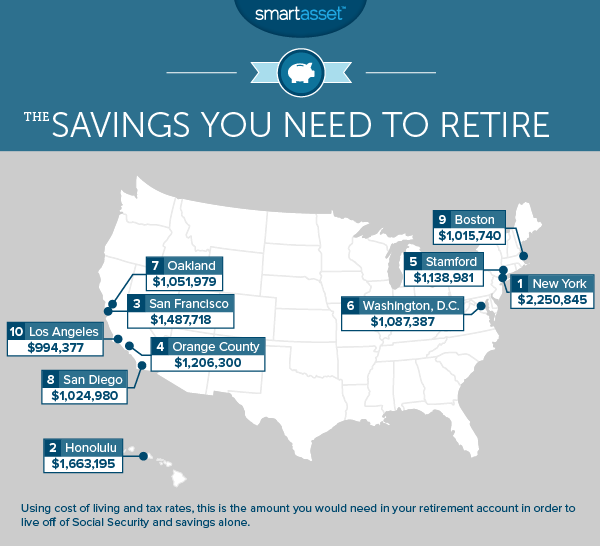 The good folks over at SmartAsset have recently posted interesting infographics regarding the most & least expensive cities to retire in. Not surprisingly, high-end metropolis’ dominate the expensive list, while more urban cities dominate the least expensive list. Where does Honolulu rank? #2! Yay! And good luck Mom & Dad! Unfortunately, because of the high-cost of living, senior citizens are going to need a lot of income in order to retire comfortably on the island. “Endless summer, beautiful sandy beaches and delicious food: Honolulu is the ideal place to retire – if you can afford to do so. SmartAsset found that retirement in Hawaii would require $65,822 annually in disposable income, and (given Hawaii’s relatively high income taxes) pre-tax income of $91,451. 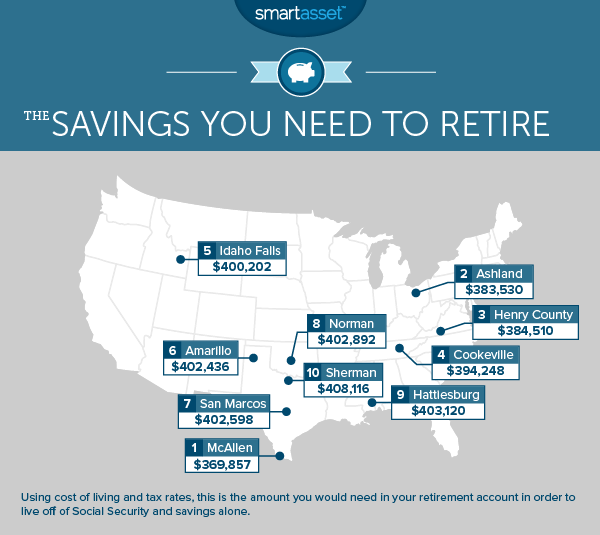 Over $70,000 of which would need to come out of your retirement savings every year, meaning you would need $1,663,195 at retirement for your savings to last for 30 years. You can read about how they figured out these numbers, and while they are shocking, this number mostly would apply to those looking to move here to retire. A good portion of Honolulu’s elderly have paid off their mortgages and have family that they can rely on for other costs. If they don’t, the best place to move would be McAllen, Texas! Yeehaw!